As we age, missing teeth becomes increasingly common and most of the times at least one tooth by the time they are 50. Previously, dentures has been regarded as the best tool for replacing missing teeth, but the advancement of dental implants have given people other desirable option. This is because, dental implant looks and feels more like natural teeth and if cared properly can last long for more than 25 or 30 years. Many people refuse to get implant procedure due to the high cost of dental implants in Melbourne. Dental implants are nothing but frames that are surgically mounted into your jawbones underneath the gums. These frames are used as the base to install artificial replacement teeth. You can get these replacement crowns in different types of materials such as stainless steel, gold, silver, and more. But, dental implants made of titanium looks much better than crowns and do not stain or broke. Subperiosteal implants are nothing but the metal frames that are inserted into the jawbone below the gum tissue. As the gum heals, the frame becomes more adjacent and stable. Artificial teeth are mounted on to the frames through the posts attached to it. This procedure is considered to be less painful and have low dental implants cost in Melbourne compared to other teeth replacement techniques. Endosteal type of implants is surgically placed into the jawbone and the artificial teeth are mounted over the frames through posts attached to it. After the gum has healed, a second surgery is needed to ensure correct positioning. Each patient is different and they have different healing time. But, by following some basic guidelines proper healing takes place and the lifetime of your implants is prolonged. After an implant surgery, make sure that you don’t get dental infection, which is the main cause for implant failure. Encourage healing within the site and keep infections away by taking in the right antibiotics prescribed by the dentists. Make sure that you don’t return back to the normal eating habit right after the surgery. Increase your water intake because proper hydration will help you heal quickly and prevents problems with the healing process like dry mouth. Keep the surgical area clean and neat by brushing regularly and rinsing the site with lukewarm water. Use a specific dental routine to and switch to certain specialised dental tools to take proper care of your implants. Following are the required characteristics of good candidates for dental implants. Do you have the above requirements? Then, you are the good candidate for dental implants in Melbourne. 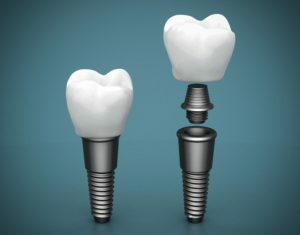 Visit www.dentalimplantmelbourne.com.au to find cheap dental implants in Melbourne.